Archaeological evidence here is used to help build up a picture of the lives led by the people of which it is a record. 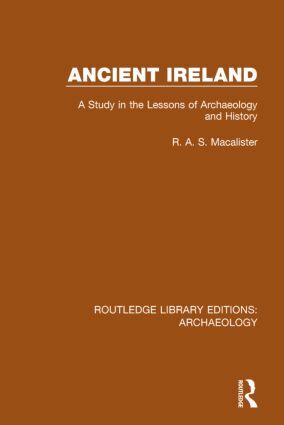 The contents include a description of primitive settlements, leading up to an account of the art, trade and civilization generally of early ages prior to the Celtic invasion and up to the end of Medieval times. Two chapters take narratives from the time and analyse them against physical evidence and consider what they tell us alongside that information. Many often overlooked facts are brought to the fore and special attention is paid to the overwhelming influence of climate in shaping human destiny. Originally published in 1935, this book is as enlightening today.